Jumping Castles have provided kids with excitement for years, and it is hardly surprising that they are a timeless addition to any type of event. 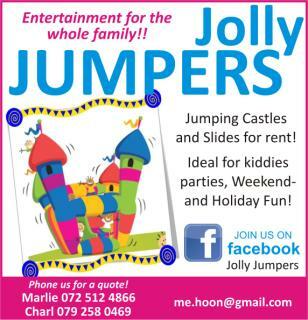 The range of Jumping Castles for hire from Jolly Jumpers Tzaneen is as endless as the fun provided by the inflatables themselves. 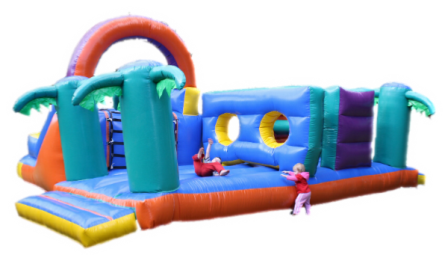 Whether you want to make your children feel special when you throw a birthday party, organise an exciting fundraising fun day or a carnival day for a school, these jumping castles will help create fond memories and will be definite highlights at your event. We also have jumping castles with slides that are very popular in drawing event attendees. Add some water to the mix, and you have the perfect solution for a summer or spring day event. Jolly Jumpers Tzaneen will provide exhilarating fun for birthdays with our Jumping Castles in Tzaneen and surrounding areas.For functions such as corporate events,family days and school carnivals/fundraisers, Feel free to contact us for further information and to experience the infectious delight that these Jumping Castles will bring to your event. 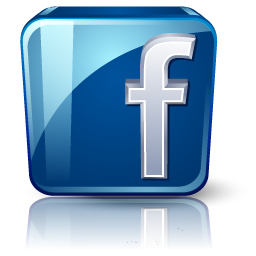 Our aim is to deliver friendly service and high quality at all times. All our Jumping Castles and Water Slides are thoroughly cleaned and inspected after each use to ensure that hygiene and safety are maintained throughout !